Fortunately for Nevada residents, there are only a few laws that you’ll need to worry about to make sure you stay on the right side of the law. As one of the more gun-friendly states in the US, Nevada doesn’t have many laws regarding buying firearms. No permit is require to purchase a handgun. The state of Nevada itself does not impose too many additional laws on purchase of handguns beyond those set by the federal government, and is actually more lenient on handguns at the state level. Since your local gun store is a licensed firearms dealer, those are the rules you’ll need to follow. However, if you decide to purchase from a private seller, there are actually slightly different rules. That’s it! You only need to be 18, and no background check is required! This means if you can find a private seller, or if any of your family or friends have extra handguns they are willing to part with, you could own a handgun 3 years earlier than if you were to buy one brand new from a licensed firearms dealer. 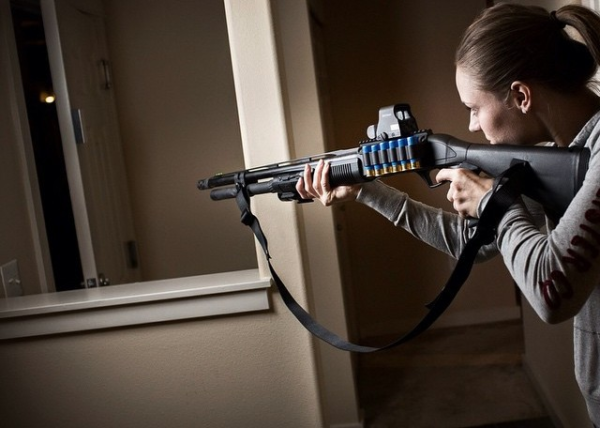 However, there are situations where you are prohibited from owning a firearm, even if you meet all the other requirements above, regardless of whether you are buying from a gun store or a private seller. If none of those situations apply to you, then you’re good to go on buying that new pistol! Unlike other states which carve out exceptions for antiques and replicas, Nevada does not treat antique firearms any differently from normal guns. That means you’ll have to follow the same rules and steps in buying an antique or replica firearm as you would that new Glock 17. On the bright side, there are less rules to remember! 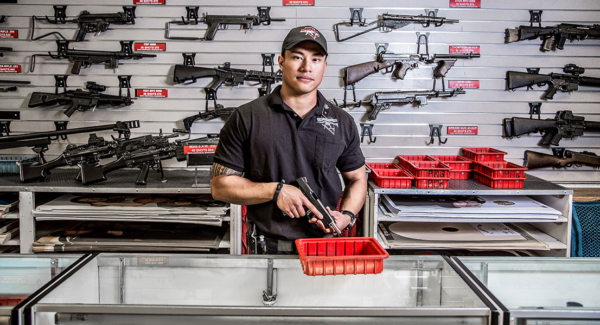 Following its relatively straightforward process for purchasing handguns, Nevada does not add any more hurdles when buying long guns. No permit is required to purchase a rifle or shotgun. Just like with handguns, if you decide to buy your next long gun from a private seller, you can avoid the hassle of the background check. Since long guns only require you to be 18 anyway, going through a private seller can’t really help with the age requirement part. Of course, the same situations that prohibited ownership of a handgun apply to long guns as well. 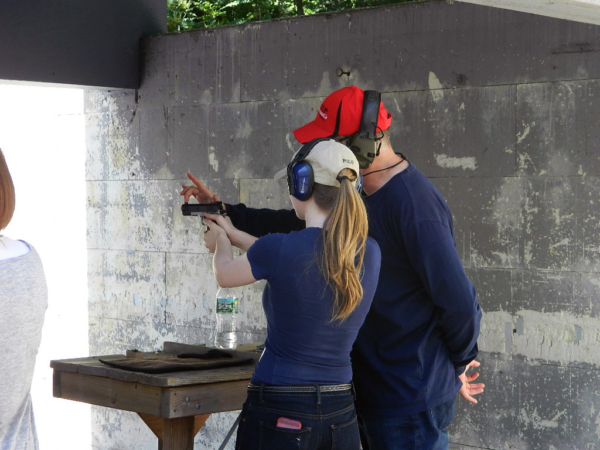 If you’re under 18, you are allowed to have a firearm only if you are accompanied by or under the immediate supervision of an adult. That means all of your firearms handling has to be with an adult present. Where Can You Bring Your Guns? Once you’ve got your guns in hand, you’ll want to be careful where and how you carry them. Nevada is an open carry state, which means you can wear that handgun on your hip, or sling that rifle across your back without any problems. However, with open carry, it’s always a good idea to be aware of your surroundings so you don’t draw unwanted attention to yourself by being the only person carrying opening. To carry concealed in Nevada requires a concealed carry permit. Because the process is a little more involved, we’ve dedicated a section just for CCW in Nevada. 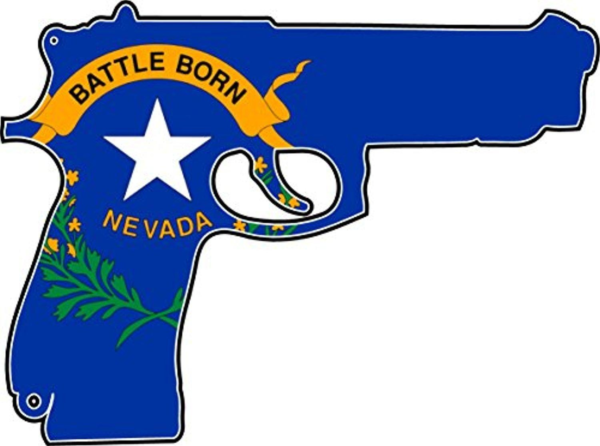 Anyone interested in the process and the additional laws to be aware of can hop on over to our Nevada CCW section to find out all the ins and outs of carrying concealed in the state. 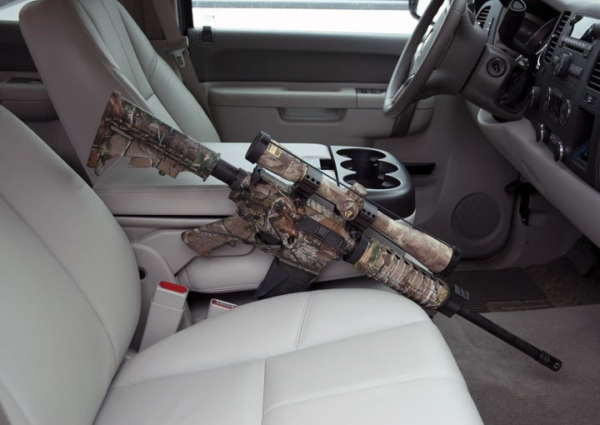 There are a few things to keep in mind when driving with your guns in the car. You can have your firearms anywhere in the car, as long as they are not actually on you, or in a container you are carrying. What this means is you cannot carry a firearm directly in your waistband or in a holster or purse that you are carrying. Having the gun on the passenger’s seat or in a case or gun rack inside the car is perfectly fine though. You’ll also need to be careful with rifles and shotguns while in the car. When you are on a public highway (i.e. anywhere not private property), rifles and shotguns must be unloaded. This means that there cannot be any rounds in the chamber, but rounds in the magazine are ok. Wherever your have to! Sort of. Nevada follows both the “Castle Doctrine” and “Stand Your Ground” policy when it comes to self defense. The “Castle Doctrine” generally allows you to defend your home, or “castle”, with deadly force if necessary. Clearly intends and tries to, in a violent riotous, tumultuous, or secret way, enter an occupied home or occupied vehicle to assault or personally harm the people inside. The important thing to keep in mind is that you must be defending an occupied home or occupied vehicle. If someone is trying to break into your house or your car (or RV), you can defend yourself with deadly force under the Castle Doctrine. Deadly force is not permitted if someone is breaking into your empty car in the driveway. In addition to being able to defend your home with deadly force, you can also defend yourself while outside of your property under the “Stand Your Ground” laws. As long as you are somewhere you are legally allowed to be, and not the person who started the conflict, you are not required to retreat before using deadly force to defend yourself or others against someone who is trying to commit a crime of violence or assault or harm others. If someone pulls out a gun while you’re out at a restaurant with your family, you do not have to retreat, and can use deadly force to respond to the threat. However, if you get into an argument with someone and pull out your gun, you cannot shoot the other person if he pulls out his gun also. Don’t start fights! And of course, just because you do not have a duty to retreat does not mean you must engage and use deadly force. Sometimes the situation may call for retreating for the safety of yourself and others around you. Always use your best judgement when deciding to use deadly force. That’s all you need to know about the gun laws of Nevada! While you’re out buying that brand new AR-15, don’t forget you’ll need to keep it somewhere safe! Nevada does not have any specific laws on storing firearms, but for those of you with children, or just want to keep your gun collection locked away when you’re out of the house, a strong safe or inexpensive gun cabinet will do just fine.